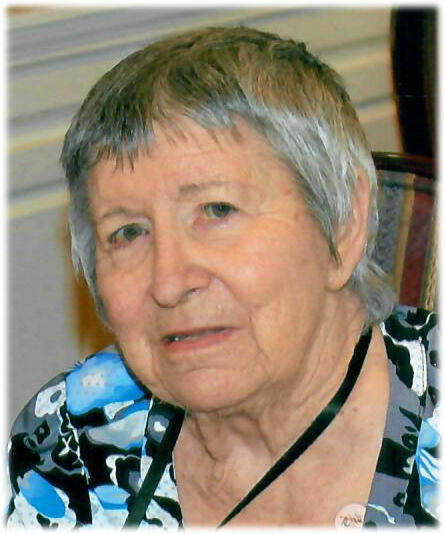 Zoma Belle Bolton, 82, of Van Wert died at 10:30 p.m., Friday, March 15, 2019 at Hearth & Home in Van Wert. She was born on November 3, 1936, in Fern Township, Caddo County, Oklahoma, the daughter of the late John R. and Ina Belle (Hamilton) Teeman. On March 30, 1957, she married Wayne Lewis Bolton who also preceded her in death on November 14, 1992. Family survivors include four sons: Tom (Jill) Bolton of Coldwater, Ohio, Tracy Bolton of Union City, Ohio, Tim (Cheryl) Bolton of Fremont, Ohio, and Ruben (Brenda) Bolton of Fulton, Missouri; six grandchildren, Ben, Natalie, Daniel (Katie), Natasha (Chris Berwald), Karen, and Corrie; a great-grandchild, Margot Clara Berwald; a sister Marilyn (Ted) Landis of Hot Springs, Arkansas; and three brothers, John (Regina) Teeman of Cranston, Rhode Island, John David (Sindee) Teeman of Moore, Oklahoma, and James (Jill) Teeman of Owasso, Oklahoma. Besides her husband and parents, Belle was preceded in death by two sisters, Ina May (Ed) Simson and Sybel (S. Odell) Richardson. Belle was a 1953 graduate of Lookeba High School in Oklahoma. She was a longtime member of First United Methodist Church, Van Wert, where she was active as Sunday School teacher, member of the Administrative Board and United Methodist Women and chairman of the Kitchen Committee. She was a bus driver for Thomas Edison School from 1971 to 1999 and a member of the Thomas Edison Mothers Club. There will be a celebration of Belle’s life at 6 p.m., Monday, March 25, 2019, at First United Methodist Church with Rev. Chris Farmer officiating. There will be calling hours from 4:30 p.m. to time of service, also at the Church. Preferred memorials are to the First United Methodist Church or Thomas Edison School.